Soviet leader Leonid Brezhnev, General Secretary of the Communist Party (CPSU) Central Committee, President of the Presidium of the USSR Supreme Soviet and Chairman of the Constitutional Commission, photographed in the summer of 1971. 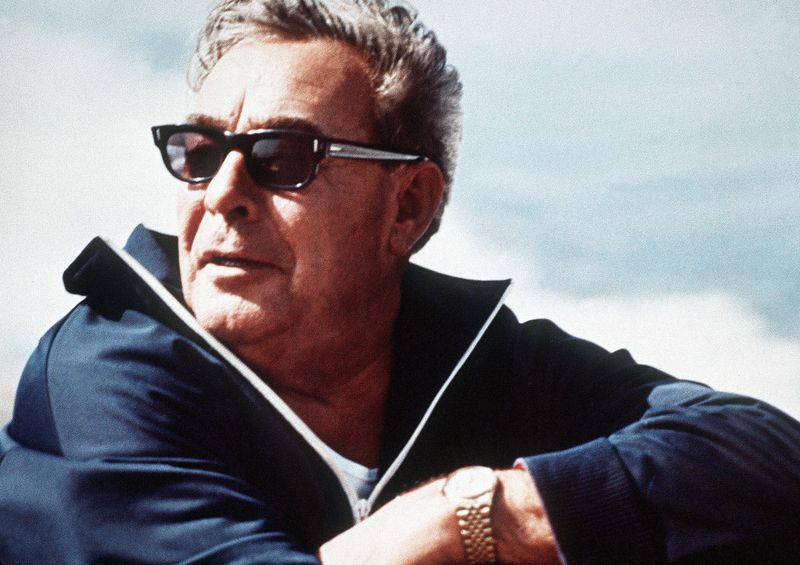 Leonid Brezhnev, born 110 years ago, on Dec. 19, 1906, was head of Soviet Union for 18 years. The long Brezhnev era is now considered either an era of tranquil stability or a period of stagnation, depending on the viewpoint. Brezhnev was appointed to head the Central Committee of the Communist Party of the Soviet Union (CPSU) and, by extension, all of the USSR, on Oct. 14, 1964. Contemporaries remember Brezhnev as the polar opposite of his predecessor, Nikita Khrushchev, who was know for his “Secret Speech,” which rejected Stalinism, and a number of ill-advised initiatives. Brezhnev, in contrast, was a responsible and predictable party functionary. “He was an apparatchik; in fact, he was a servant of [the CPSU],” said (in Russian) longtime Brezhnev aide Alexander Bovin. Brezhnev had traveled a long road to the highest position in the Soviet Union. Born in Ukraine, Brezhnev first worked as an engineer, then fought in World War II, and later secured a post in the CPSU administration. He was not an outsized figure, but rather a diligent worker. Historian Alexander Filippov, the author of a textbook on Russia's history from 1945 to 2006, said that Brezhnev was appointed head of the CPSU Central Committee because of his neutrality. Different factions within the party were hoping to be able to manipulate him, but Brezhnev proved to be more independent than had been anticipated. He appointed a team of like-minded individuals to key posts, which allowed him to carry out his own policies. In his early years as party secretary, Brezhnev began to partially implement the economic reforms proposed by Alexei Kosygin, chairman of the Soviet Council of Ministers. These reforms, which called for introducing certain elements of a market economy into the USSR, turned out to be effective: the Soviet economy grew rapidly in the late 1960s. Brezhnev later rolled back the reforms, however, in part due to his jealousy of Kosygin. In the 1970s, the Soviet economy was largely dependent on the country’s natural resources. The 1973 oil crisis, which saw prices soar, benefited the Soviet Union. The country took advantage of the situation to export oil to Europe in exchange for hard currency. Modern Russia’s oil industry owes much of its current structure to decisions made during this time. Even in the 1970s, however, the downsides to this strategy could be seen, and the fall in oil prices that occurred during the 1980s seriously undermined the Soviet economy. By the end of the 1960s, the Soviet Union and the United States both understood that a nuclear war would result in their mutual annihilation. According to Filippov, this situation was what prompted the two countries to initiate what became known as detente: a de-escalation of the tensions between the two countries on the international stage. In 1972, Brezhnev and U.S. President Richard Nixon signed the SALT I strategic arms limitation treaty and the Anti-Ballistic Missile Treaty. Relations improved for a while, but by the late 1970s, Moscow and Washington returned to their threat-laden rhetoric. Alexey Pyzhikov, senior research fellow at the School of Public Policy at the Russian Presidential Academy of National Economy and Public Administration (RANEPA), said that the program of detente was derailed by the Soviet invasion of Afghanistan, which began in 1979. Pyzhikov sees two goals in the Afghan campaign: protecting the USSR's southern borders and raising the country's international prestige: “The Soviet leaders needed a victorious war in order to revive the ideas of Socialist International,” Pyzhikov told RBTH, “but Afghanistan proved a catastrophe.” Soviet troops stayed in Afghanistan until 1989; more than 13,000 servicemen died during the conflict. On the other hand, the stability of the Brezhnev era produced a kind of ticking time bomb. “The Brezhnev era was marked by the rise of the Nomenklatura,” Pyzhikov said, adding that during this period of calm, the party elite lost touch with the population and became its own exclusive caste, living a much more prosperous life than ordinary people. Party leaders kept repeating the official Communist mantras, but did not believe in them any longer. Neither did the population. “People's trust in the fairness of life, in the bright future for which the previous generations had worked and sometimes died, was waning,” Pyzhikov said. According to him, the party leadership, including Brezhnev, were afraid of change and preferred stability to reforms. The problems of the planned Soviet economy remained unaddressed and continued to pile up. The inability of the system to face these problems eventually led to the the Soviet Union’s collapse.